Can Capela, Rockets Reach Deal? 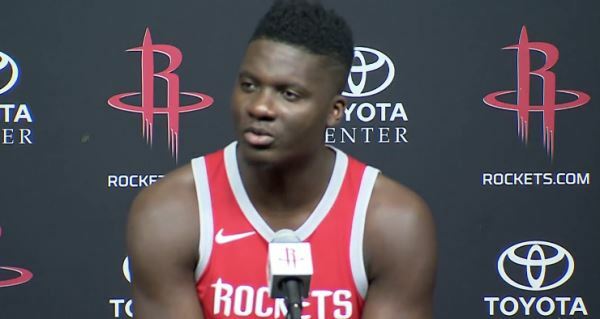 According to the Houston Chronicle, the Houston Rockets offered restricted free agent Clint Capela a 5-year, $85 million deal on July 1, and are “optimistic” the centre will re-sign. According to the report, the deal could be worth up to $90 million with incentives. Rockets offer to Clint Capela on July 1 was five years, $85 million, two individuals with knowledge of the offer said. With incentives, the deal could be worth $90 million. Rockets remain optimistic sides a deal will be reached. "Absolutely," one of the individuals said. Previously, ESPN had reported Houston’s initial offer to be approximately 4 years for $60 million. Capela supposedly rejected the proposal, seeking something in the neighbourhood of 4-years and $100 million that Thunder centre Steven Adams received. It remains to be seen whether Capela will compromise with the Rockets, or if he will stand pat on his demands. Houston might not be willing to cave, as doing so could put them in the luxury tax, as a result of the 4-year, $160 million max contract already given to Chris Paul. Capela, 24, is one of the league’s best young big men, averaging 13.9 points, 10.8 rebounds and 1.9 blocks per game while making 62.5 percent of his shots from the floor this past season.